The guard of Nanterre was the MVP of the French All-Star Game. The 33rd edition of the French All-Star Game was held on Saturday in front of a sold-out crowd of 15.988 fans with the French All-Stars beating the foreign players of the French ProA league 153-147. 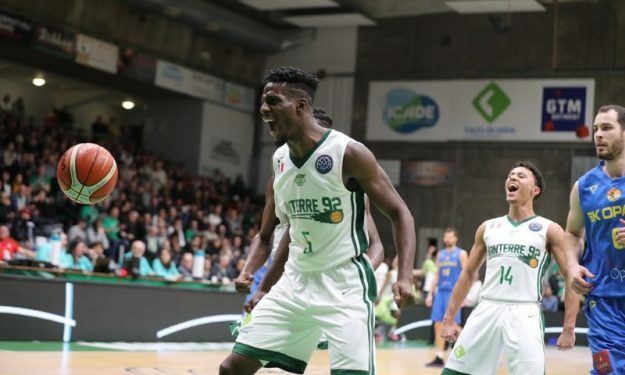 Lahaou Konate of Nanterre was the MVP of the game with 33 points on 13/17 field goals and a 42 ranking. As the winners, the French All-Stars donated 10.000 euros to the CAP NF foundation, while the foreign All-Stars won 5.000 euros for the PLAY international foundation. Justin Robinson of Chalon/Saone won the skills challenge against Roko-Leni Ukic of Levallois Metropolitan and one more player of Chalon, Bastien Pinault, won the three-point shootout. In the dunk contest, Kevin Harley of Poitiers Basket 86, which is part of the second division of LNB, won an exciting duel.